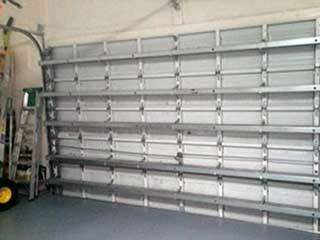 Proper garage door maintenance can prevent major problems from developing in the future. In fact, we often find that many malfunctions could have been prevented by a service appointment at an earlier date. Don't let minor problems such as rust spread through your system and deteriorate the parts when it can be prevented easily! Why Schedule A Service Appointment? We strongly recommend scheduling service appointments at least yearly to enable our technicians to identify and fix problems before they become hard to solve. It’s not often obvious what maintenance is required to keep your door in perfect working order. It takes an experienced eye to know what’s needed. Luckily, our team of technicians will know exactly how to get the best out of your system. Our team’s first step will be to assess the overall condition of your door. Any obvious pain points will be identified, and if replacements are required you’ll be advised as to the best course of action. Our team will then examine each element of the system in turn, paying special attention to the moving parts - these can often require re-lubrication or re-calibration, and must be looked after with care. Once all adjustments have been made, our team will give the door a final test, and confirm that the system is working smoothly. If our team identifies a part which is too corroded or worn to be repaired, they will recommend a replacement. We stock a full range of modern parts, and can source replacements for any system. Our team will fit the new part quickly so that your door continues to work perfectly for as long as possible. A service inspection today could prevent an expensive, time-consuming repair in the future. We strongly recommend having your door checked over; contact us at Garage Door Repair Duluth today to find out how we can help you.